First log in to your site, then navigate to the page you’ve built using Beaver builder. Then click the Page Builder button to activate Beaver Builder. 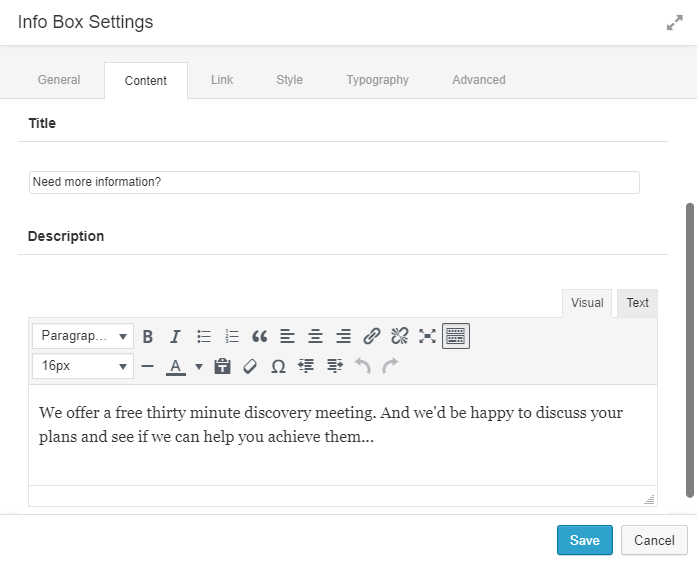 Click Add Content to open the Beaver Builder sidebar. 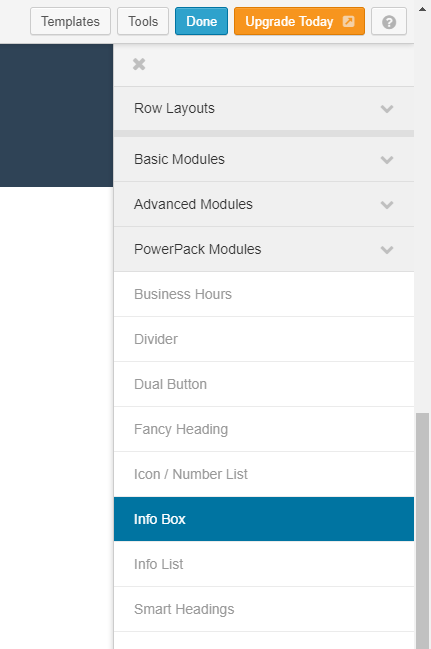 From the PowerPack modules, drag the Info Box module into a row in your layout then configure the settings. Then I saved my settings, clicked the Done button and clicked Publish Changes.